Book Review: 'Jacobs Folly' By Rebecca Miller | A Fiendish Fly Recalls Kafka The main character in Rebecca Miller's new novel is a pest with a past, and his gnat-like status offers him one great advantage: Those convex eyes allow him to see fully into the hearts of humans, specifically two other characters whose paths intersect with his. Man awakens to find out he has turned into an insect. And the Double Jeopardy question is, "What is Kafka's The Metamorphosis?" Well, what other response could there possibly be? Kafka all but cornered the market on that verminous plot in 1915; although, after nearly 100 years, the exclusivity clause may be about to expire. 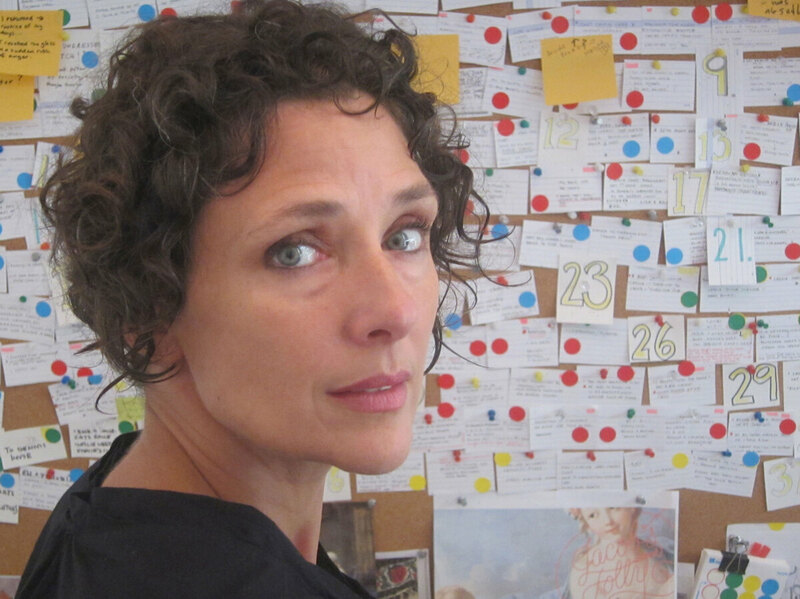 It takes a gutsy writer to pad in Gregor Samsa's sticky steps, but, by now, Rebecca Miller is clearly used to coping with the anxiety of influence and staying true to her own vision. In her latest novel, Jacob's Folly, Miller — daughter of Arthur, wife of Daniel Day-Lewis — boldly demonstrates that there's plenty of room for more than one fabulous bug story in the literary insect kingdom. Miller's main character is a pest with a past. Jacob Cerf began life more than two centuries ago, as a young Jewish peddler who makes a living (barely) by lugging his heavy box full of knives, hammers and snuffboxes around the streets of Paris. When we readers first meet him, he's twitching himself awake into his new existence as a fly in 21st-century Long Island, N.Y., and environs. Jacob speculates that this reduced reincarnation into an ugly bug with "convex eyes ... the color of persimmons" a "hairy tongue" and "fragile, threadlike legs" might be divine retribution for his former life, which eventually widened out of the Jewish quarters of 18th-century Paris, to include service as a valet to a count who made the Marquis de Sade seem squeamish. Jacob's gnat-like new status offers him one great advantage: Those convex eyes allow him to see fully into the hearts of humans, specifically two other characters whose paths intersect with his: Leslie Senzatamore (whose name, we're told, means "fearless" in Latin) is a sweet, overburdened father and husband; "Masha" is a talented young actress, but her gift is stifled by the Hassidic-like religious community in which she lives. Eavesdropping on their thoughts, Jacob hears Leslie and Masha debate their allegiance to their families versus the voluptuous lure of breaking free. Jacob turns out to be a bad bug. He resolves to bring the loyal Leslie down and to destroy Masha's strict obedience to God, whom he calls "the old Tyrant" and the "Soul Recycler." Rebecca Miller's other books include Personal Velocity and The Private Lives of Pippa Lee. "French roast beef, pistachio-stuffed chicken breasts, ... gefilte fish with horseradish. ... [I]t was paradise. With a shudder of pleasure and surprise, I stepped into a droplet of gravy and tasted the rich, salty fat through the pads in my feet! ... I strolled from one luscious crumb to another, sometimes even flying to a serving dish to drink from the rim, knowing full well my hosts were forbidden to kill anything — even flies — on the Sabbath." 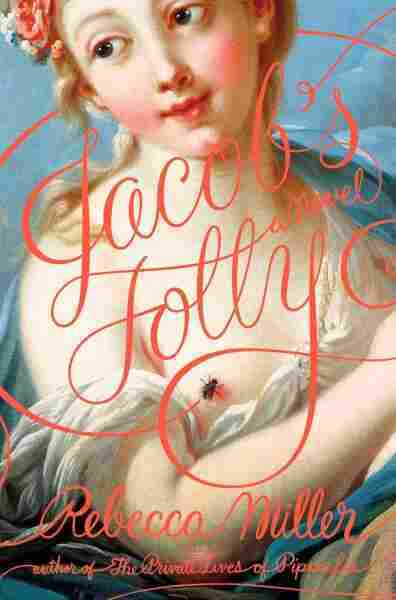 That adjective, "luscious," is the one word I'd use to characterize Jacob's Folly: Miller's writing style is sensuous, and her individual stories expand, opulently, in scope and emotional impact. The only "fly in the ointment," so to speak, is the appearance, in the last third of the novel, of some overly quirky characters whose contrived function is to link Jacob and Masha and Leslie's stories together. Miller should have swatted that idea away and, instead, let this rich novel about the rewards and terrors of transformation just buzz about in its otherwise winningly wayward fashion.